Can I create an invoice template in ZipBooks? When you conduct a business that results in repeated identical invoices, it’s nice to not have to recreate them every time. 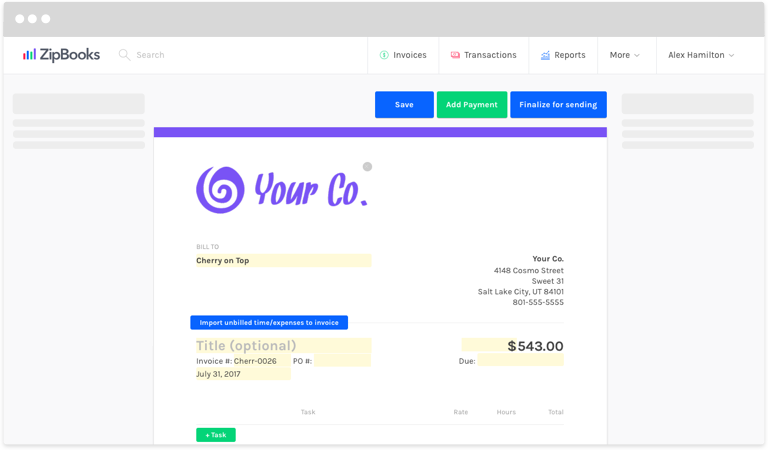 ZipBooks gives you an easy way to replicate invoices without spending the time adding each detail. 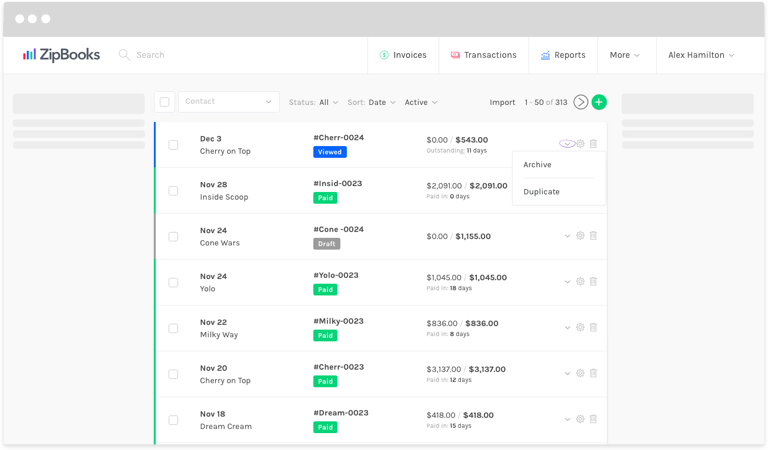 Log in to ZipBooks and click on Invoices at the top of your screen. Find the invoice you’d like to replicate and click on the downward pointing arrow at the right side of the line. A copy of the invoice will open in edit mode. Change any information that needs to be updated. That’s it! You can also save line items to make it easier to add them to your invoices. These features should help make your billing process quick and seamless.